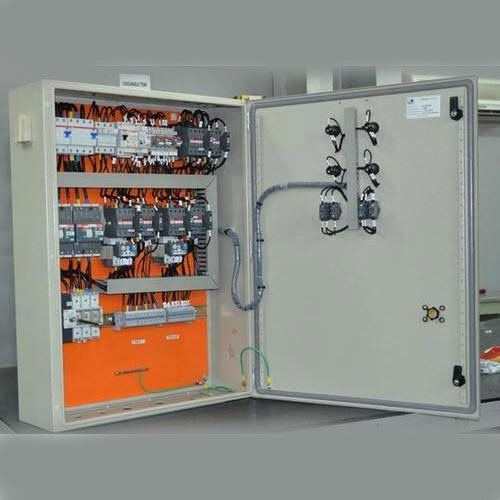 Distribution panel is a module of an electricity supply system which divides an electrical power feed into subsidiary circuits, while providing a protective fuse or circuit breaker for each circuit, in a common enclosure. Main switch and residual current Breakers with overcurrent protection will also be incorporated. We offer highly functional range panels to our clients. Fabricated from superior components to provide durability and safety. Tested by professionals for reliable and correct performance. Inspection of the panel by client at the workshop before delivery. Offered at competitive prices with timely delivery and assured quality.